A brief introduction of the development of a High Quality Puffed Fermented Canned Feed for Cattle and Sheep. The technology rely on “using the stem of sweet corn ( straw ) developed into a canned feed “ is an achievement as a result of 15 years of industrial research and analysis, and is now possessing its own intellectual property right and is proven appraised as a new technology. The fundamental philosophy of the development of “ Fermentation “ is : By means of high temperature and high pressure puffing sterilization, lactic acid bacteria fermentation extracted out the enhanced value of nutrition , the Laxtobacillus to become an expanded fermented nutrition value. ① Produce new substances and. 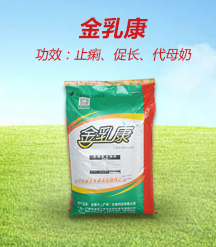 ② Degrade of the rough fibre density from the straw. The lactic acid bacteria is specially cultivated for domestication for the fermentation of the straw efficient strains of the bacteria, supposedly be difficult to use straw nutrients but effectively converted to biological protein, but also to carbohydrates and crude fibre and other macromolecules degradation of digestible small molecules nutrients, produce lactic acid and other small organic acids, produce antimicrobial peptides and promote peptide and a variety of beneficial ingredients, protein and 17 kinds of amino acids would significantly be increased. 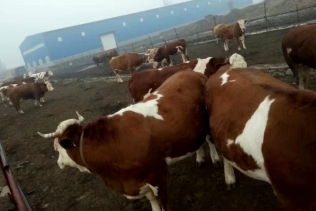 ① After fermentation of finished products, significantly increase nutritional contents, the wastage rate is almost zero, suitable to feed both cattle and sheep . ② After eating in, digestibility increased significantly, up to 80% or even more, weight gain is significant. C. To improve level of resistance in disease and immunity of cattle and sheep. ① Cattle and sheep diarrhea significantly reduced, the hair color is shiny and bright. ② The incidence of plague and catch virus be greatly reduced. A. Puffing process can reach temperature above 120 degree C, effectively destroy harmful bacteria. B. 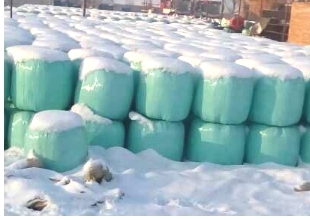 Effectively release of nutrients from straw. A. Finished products storage live time can last up to three years. B. Can be stored below 50 C , and during transportation. Kg , easy to transport by truck and or in a container.